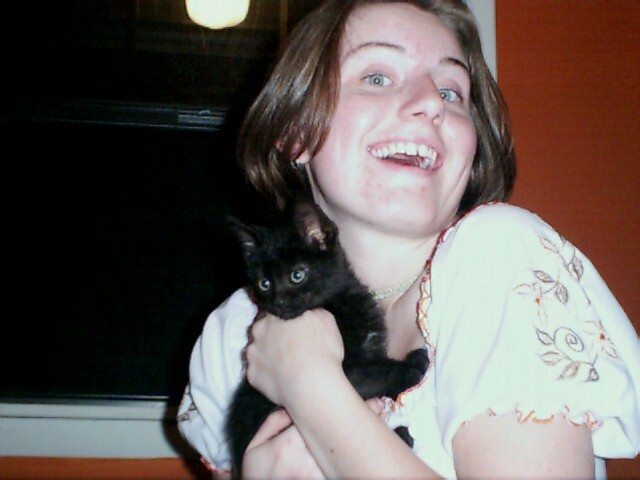 This is my roommate Mandi, holding my precious little Newton. This is my lovely little Newton, champion D.P.K. Meet Ted, my roommates lovely dog. And this is our "extra kitty for the summer", Leah.